Rich Texans are building a luxury underground city. American billionaires are building elaborate hideouts in New Zealand. Among the wealthy, widespread plans are being made to escape the coming societal collapse. What do the rich know, that the rest of us don't? Meanwhile, a grassroots contingent of average middle-class folks have devised plans for Moving to Russia, as a safe place to weather the coming storm. Peter Thiel, billionaire founder of PayPal and early investor in Facebook, purchased a 477-acre apocalypse retreat in New Zealand. And this is not the lone action of an eccentric rich man. This sort of activity has become so common among the wealthy that Reid Hoffman (billionaire founder of LinkedIn) claimed that “saying you’re ‘buying a house in New Zealand’ is kind of a wink, wink, say no more”. Among the rich, widespread plans are being made to escape the coming societal collapse. Among those who are not wealthy, particularly among those who are Christians, the expectation of a future collapse centers more along lines of morality. There is a growing belief that the moral degradation of western society is rapidly approaching a tipping point, at which time it will become unsafe for Christians to openly practice their faith. For this reason, many are hunkering down in Benedict Option communities, while others are seeking safety via relocation to Russia. There are two Moving to Russia groups on Facebook (one public, one private) where people discuss the reasons for moving, and the logistics required for international relocation. A little-known sermon titled, "Do You Feel The Walls Closing In? 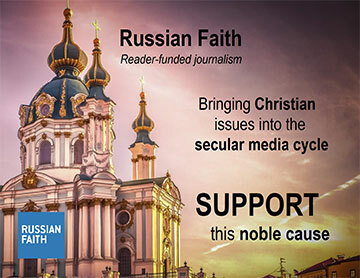 ", reveals some of the reasons motivating this group of Christians to seek refuge in Russia. There is also a Benedict Option Discussion group on Facebook. And the sort of people entertaining these notions are not wild-haired, crazy-eyed fanatics. They are the normal, everyday sort of people who just might live next door. School teachers, police officers, priests, and firemen are among those seeking to cross the ocean and make a new start. Just for example, consider the stories of Hal Freeman, Fr. Joseph Gleason, and Michael Irwin. People in this crowd have normal jobs, nice homes, and children who are happy and well-adjusted. Other than their desire to move to Russia, they don't exhibit behavior that is particularly unusual. By all appearances, they are just a group of Christian fathers and mothers who see trouble brewing on the horizon, and who are concerned for their children's future. In Stephen King's famous story, The Stand, the world's population is nearly wiped out and survivors eventually congregate in two cities. The wicked get together in Las Vegas, while the good people gather in Boulder, Colorado. Perhaps something similar will happen in the near future. Except when the apocalypse hits, Las Vegas and Boulder won't be where everyone goes to bug out. Instead, it just might be New Zealand and Russia.